Company manuals can first and foremost be used as a guide for orienting new employees to your practice. They generally contain a section that sets forth your practice’s history, mission, and culture. This should help an employee get familiar with when and how the practice started, where it is now, and where it hopes to expand its reaches to. 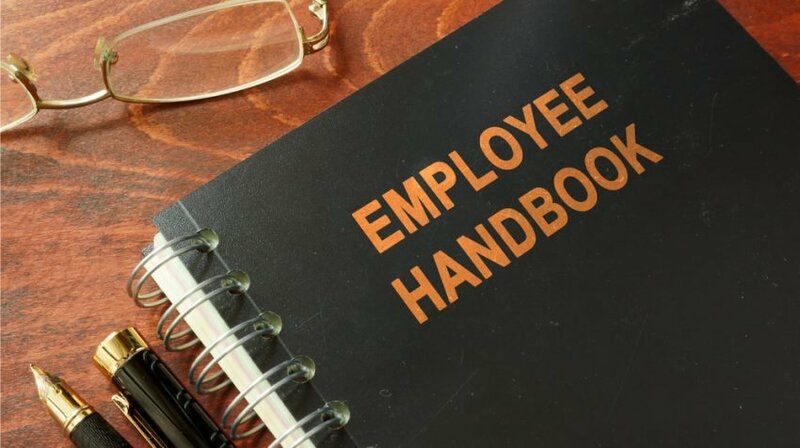 Manuals also assist your employees in understanding what their terms of employment are, what benefits they can expect to receive, and what company policies they are bound to follow. This information and knowledge lends itself to providing consistency for each and every person who is employed by your practice. So far as terms of employment go, there are several clauses you should include in your manual to provide disclaimers, be in compliance with local, state, and federal laws, and proclaim at-will statements. You should clearly state that all parts of the manual trump any past versions, may be subject to change, and are not considered to be a contract. More particularly, a company manual should state that the employer/employee relationship is at-will. This means that the employer can choose to fire an employee at any time for no reason at all, yet an employee can also choose to end their employment at any time for no reason at all. In addition, you may consider including a non-compete clause for situations in which an employee may leave to work for another employer or may start their own practice. These types of clauses help promote the integrity and increase the longevity of your practice. Of the many legal aspects which should also be included in the manual, you should pay particular attention to properly including Equal Opportunity Employer and anti-discrimination clauses, anti-harassment clauses, the Family and Medical Leave Act (FMLA), and workers’ compensation clauses. Some of these policies vary by state, by number of employees, and other particulars related to your employees. For example, if you have fifty or more employees, you must be compliant with FMLA; if you have fifteen or more employees, you must be compliant with the Americans with Disabilities Act (ADA); and, if you have twenty or more employees, you must be compliant with the Age Discrimination in Employment Act (ADEA). Even if these employee numbers are not applicable to your situation, out of an abundance of caution, some companies include these clauses anyway. Provisions should also be made for maternity/paternity leave and disability accommodation. Clauses of this sort protect your employees, but also help to insulate you from liability in adverse situations. Benefits are another key piece which helps constitute a company manual. An employee will certainly wish to know whether he or she is classified as full-time or part-time, what his or her job description is, what level of compensation he or she will receive, and what his or her opportunities for advancement may be. The company manual provides an arena where you may set forth information regarding work hours, vacation, sick leave, other types of leave, holidays, and paid time off, along with insurance information. In certain situations, you may also wish to include policies about licensure, continuing education, and malpractice insurance. It is also particularly important to explain the processes regarding how performance evaluations, promotions, or merit increases may be made, as these can be areas which employees may be especially concerned about. Your company manual also provides a means for you to express your concerns and standards regarding conduct-based policies. These policies can range from dress code, to workplace conduct, disciplinary processes, and appeals processes. With dress code, you may generally propose anything reasonable, as long as it is not discriminatory on the basis of any federally protected status such as gender, race, religion, or disability. For workplace conduct, discipline, and appeals, your manual gives you an opportunity to be consistent across the board regarding the ways in which you treat your employees when they have wronged you, or when they feel that they have been wronged. Consistency is key here, in order to protect yourself and your employees from any liability issues. Lastly, your company manual allows for the creation of standards regarding safety, security, publicity, and confidentiality. A manual should provide policies for any breaches of safety and security in the workplace, such as emergency protocols for fire and weather incidents. Further, especially in a dental practice, your employees must be informed of HIPAA requirements and other confidentiality concerns. In concert with this, they should also be aware of the things that they post on social media and how that can cause potential HIPAA violations. To go along with a social media policy, a manual would also benefit from including a policy regarding expectations of workplace privacy, technology, email and phone usage, and a how to handle media inquiries. Together, each of these safety and security policies is in place to insulate you, your employees, and your workplace from harm. While it may seem overwhelming to have to consider inserting all of the above in a company manual, the overall goal is to set the tone for your practice’s success, while also shielding all parties from any adverse, or problematic issues. Having these policies in place will strengthen the flow of your workplace, allow for consistency in all situations, and provide employees with a good foundation for their work. Without a company manual, you leave yourself and your company open for liability. Therefore, it is in your best interest to start creating one as soon as possible.